The universe is full of barren, empty worlds and it’s up to you to seed them with the stuff of life. 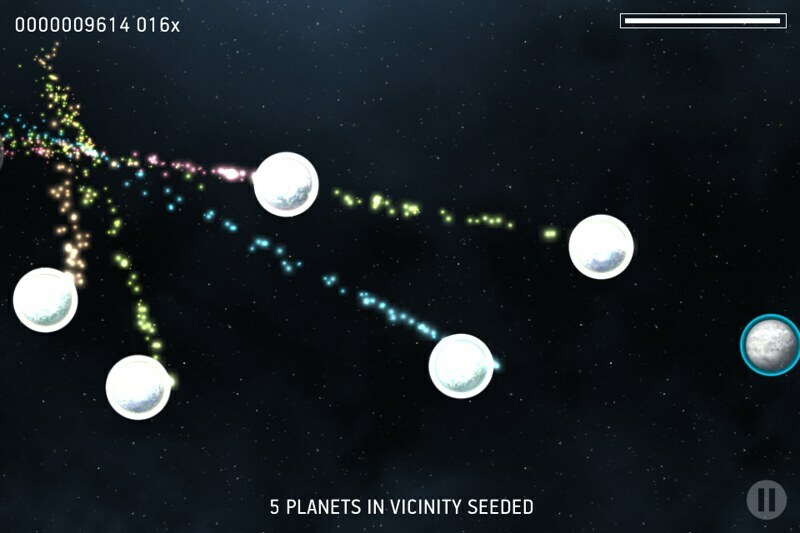 Send singing stars flying through the galaxy to create a beautiful display of music and light. 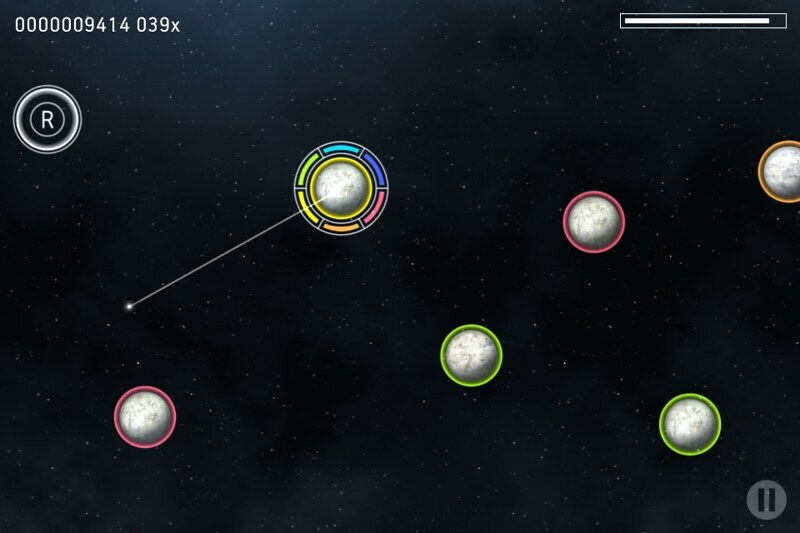 Gesture-based ambient sound and color game. Generative gameplay produces a different “song” every time. Five modes of play of increasing complexity. “Free Mode” to experiment with sound and color. Game center support with many achievements. Get Singing Star for all iOS devices at the iTunes App Store. 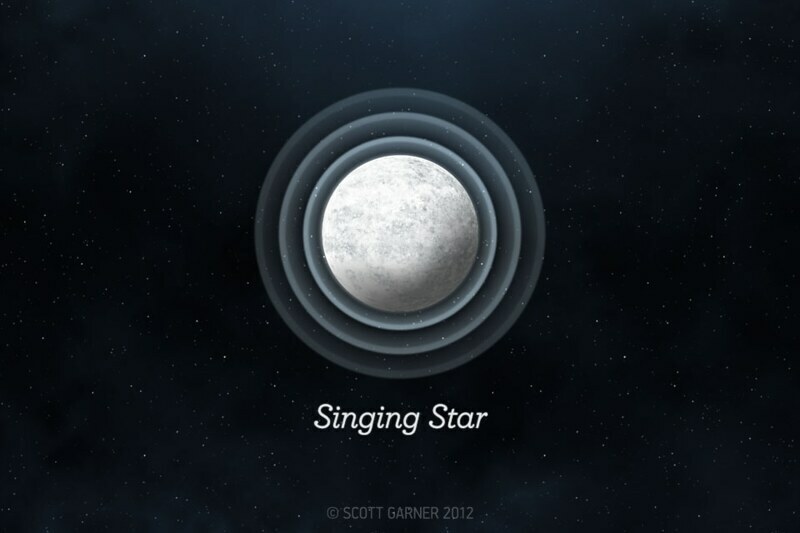 Singing Star is an Objective-C application developed using Apple’s Xcode. It uses the amazing cocos2d for iPhone framework along with CocosDenshion for sound. Artwork was created using Adobe Illustrator and Adobe Photoshop. Textures and sprite sheets were created using ImageMagick, Texture Packer and bmGlyph. Sound samples were created using Propellerhead Reason and Adobe Audition. Beta testing was handled with TestFlight. Many thanks to all of the beta testers, especially Loren Judah and Andrew Butterworth, who provided useful and detailed feedback. I also got a great deal of help and guidance from Ray Wenderlich’s iPhone Tutorials.